Education and fun at the same time! 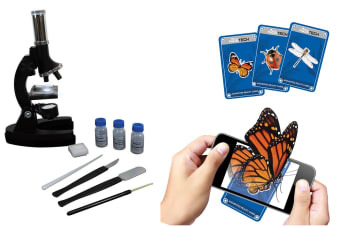 Ignite your child’s curiousity with the Vivitar Microscrope Kit with AR cards, which has been designed to teach children how to use a lab microscope and other tools. The Vivitar Microscope Kit with AR Cards is a great beginner level biological microscope with advanced features. 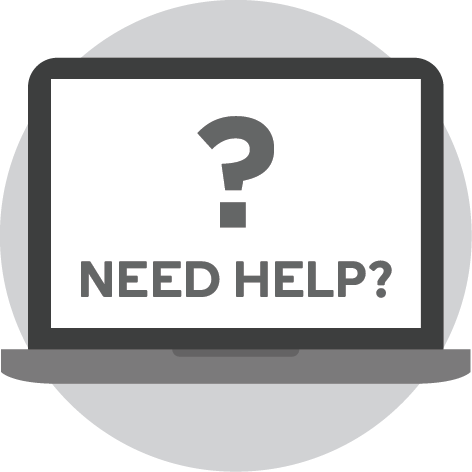 The electric illuminator provides direct control of light. A mechanical stage is standard equipment with knobs controlling both axes for easy centreing of specimen slides. 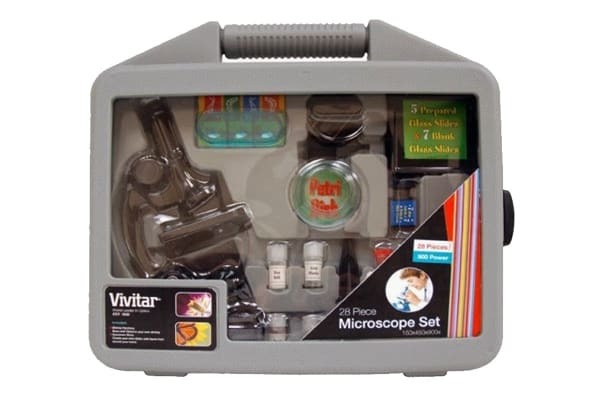 This set is great for beginning scientists.